is this still available? I can't find it on Ecosystem! never mind- just saw you uploaded your actions to github! however this action lacks the smoothing. Any chance I could peek at the code? Thx! Any chance this action is still around somewhere? I can't seem to find it on the GitHub. Looking forward to it! 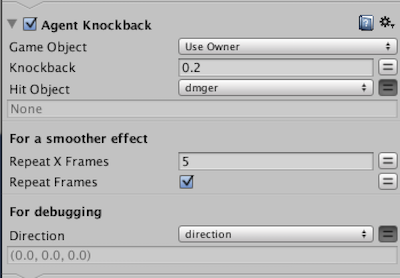 yes, I'm using a navmesh agent and have a rigidbody as well. I've tried setting the navmesh agent's updateposition to false and applying force and seem to get inconsistent results... sometimes it works perfect, sometimes it doesn't seem to click... so, looking forward to seeing it. Ever get around to making this?